I just posted a story about a reaction to Lincoln's First Inaugural, so here is a look at some reaction to his Second Inaugural Address. This brief story is from the newspaper called the Youth's Companion, of March 9, 1865.This will likely be the last in my posts about the election/inaugural from the last few months. It is a bit strange that this article does not mention the address Lincoln gave that March 4th day, but here is a link to his second inaugural, which some people consider Lincoln's greatest speech. The article did, however, manage to mention religious freedom. On the last day of the past week a ceremony both grand and impressive took place at Washington. Pres. 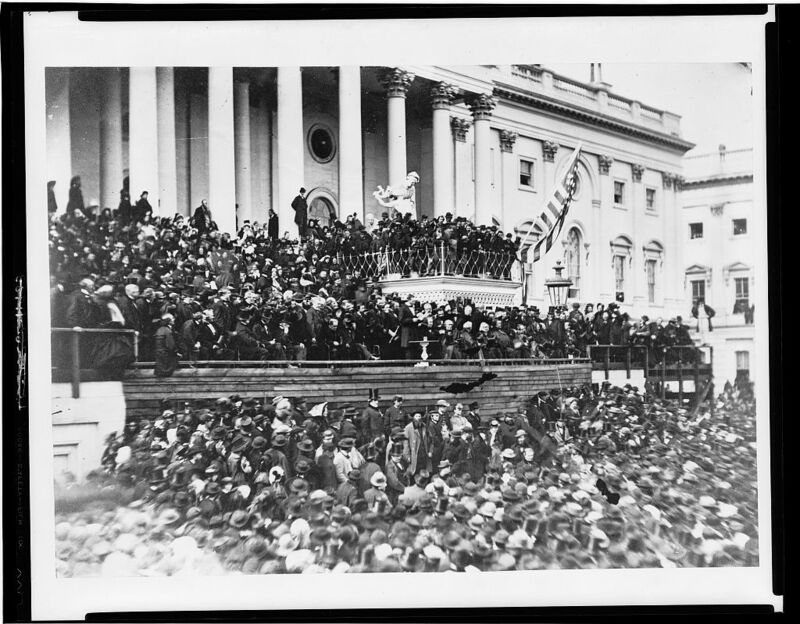 Lincoln was at noon of that day inaugurated as president of the United States for another term of four years. Amidst the applause of those assembled to witness the ceremony, he came forward and took the oath of office. This was administered to him by Chief Justice Chase, in a manner that was deeply impressive. For the second time Mr. Lincoln swore to be true to the Constitution and the Union, to faithfully perform the duties of his high office, and to protect religious liberty and laws throughout our land. Four years since he stood on the steps of the Capital to accept the same high trust. Then there were fears of disturbance, and threatenings from desperate, traitorous men, and many troops were called out to prevent violence and to protect the president. But he did not falter, nor did he hesitate boldly to proclaim what he intended to do for the preservation of the Union. And now that the four years of his first term have passed away he comes forward again to devote himself to the nation. He has honestly performed his duties during his term of office, and how thankful should we all be that we have had such a man at the head of affairs. May God bless Mr. Lincoln, and give him strength to carry on through the next four years of his office as faithfully as he had done hitherto. His position is one of great anxiety and care, and his duties are many and hard to bear. Let us all, then, pray that God will aid him in the performance of them, and the end of the coming four years will see us a happy, prosperous and peaceful people.